What Role Does the Talent Buyer Play in the Music Industry? Talent buyers are the people who book bands for venues at which they work, or for events they are hired to organize. In the music industry, talent buyers (who also are known as bookers) field inquiries from bands and bands' agents and book them for dates at the venues or events. 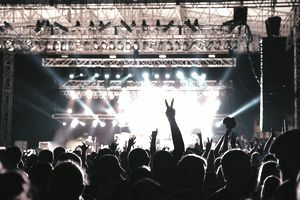 Depending on the size of the venue, talent buyers may work with local bands putting together cohesive bills and selecting bands based on demos. Alternatively, they may work with agents to book larger, established acts. What Exactly Does the Talent Buyer Do? The role of a talent buyer can vary widely, depending on where they work. Generally speaking, it is the talent buyer's job to understand the music audience in their town, and to book bands that will appeal to that market. A venue that's renowned for its hip-hop concerts (and which routinely sells those out) might not do so well if it books a country act, for example. The end goal of any venue or event is to put on a well-attended show that's well-received by the audience. So in addition to understanding their markets, talent buyers must also know about the potential draw of the bands they are booking: Does this band have a strong local following that will come out for the concert? Or, is this a relatively new act that may need more aggressive promotion? Therefore, to do their jobs well, talent buyers have to develop a good sense of both their potential audiences and the bands that approach them. That way, they can appropriately match bands to the right events. This likely will take some research about potential bands and the people who come to see them; talent buyers also can't just rely on what agents or band leaders tell them. You might hear talent buyers referred to as promoters, particularly at venues (not as much for those that work for events). Talent buyers often work closely with booking agents when putting bills together. Each comes to the event from a different perspective. The talent buyer represents the venue or event, while the booking agent represents the band. This is one reason for a band to have a strong booking agent. Relationships matter in the music industry. An agent who's been in the industry for quite some time will have multiple contacts, including some with talent buyers for venues and events. These contacts truly can help a band, especially a relatively new band, get coveted bookings at those venues and events. Once the event or venue is booked, the talent buyer generally isn't responsible for doing any of the marketing — that's the job of the band's publicist or the venue's marketing department. Talent buyers usually are responsible for the big picture — booking the acts — and leave the marketing, set-up and other details of the event to the concert promoter (who in turn may hire people to take care of those details).